Great style isn't born - it's cultivated with experience, inspiration and a good barber that knows what the hell they are doing. Eshan Shah from style site, Mr. Cavalier visited Garrison's for great advice and an even better cut from our very own Brayden Simpson. 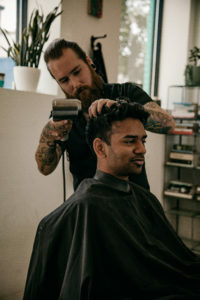 Wether you have just graduated from high school or wading in debt after 8 years chasing that unicorn PhD, its time to man up and get a cut that shows the world that you are ready – well – for the real world. 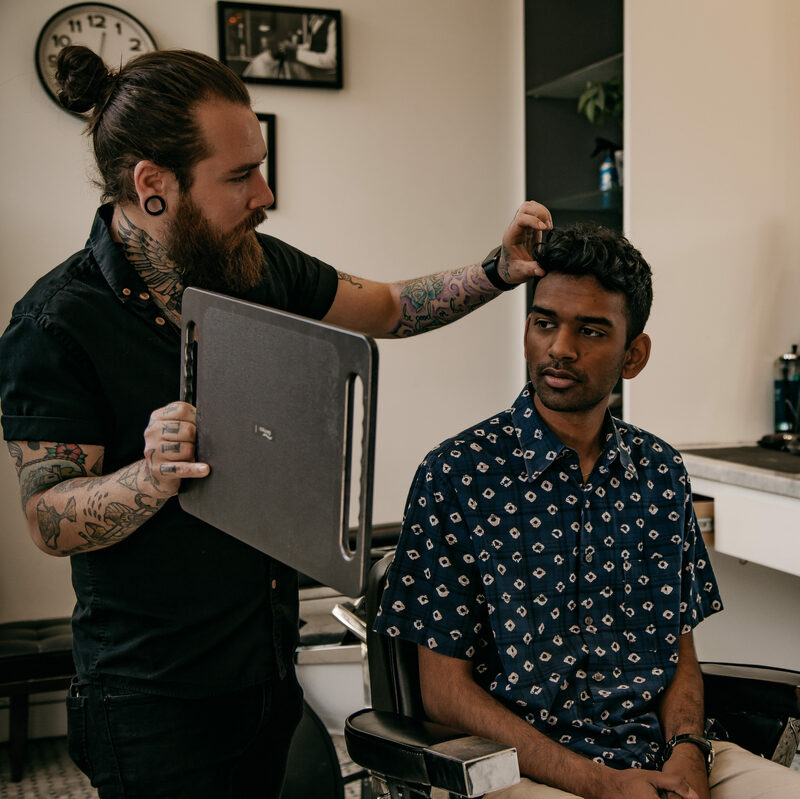 Style Aficionado, Mr. Cavaliere, brought in one of his team members and recent graduate, Eshan Shah, to get him schooled on finding the right cut to suit his face, style, and lifestyle. Senior Barber, Brayden Simpson took him through an in-depth consultation, working with him to understand how to work with his hair and not against it, and most importantly, how to keep it looking sharp after he leaves the barber chair and left to fend for himself. Check out the full article on Mr. Cavaliere. Are you looking to up your hair game? Do you have a product resistant cowlick that is doing you no favours? Tired of that “high and tight” that you have been rocking for a couple years now? Sounds like it’s time to book with any one of our barbers to help you find your own style.